Born in Michigan, Robert Muir Graves (1930-2003) studied at Michigan State University and graduated from University of California, Berkeley with a degree in Landscape Architecture. Serving in the US Navy during the Korean Conflict, and 22 years in the Naval Reserves, he achieved the rank of Commander. During his 50 years of practice in golf architecture, Robert M. Graves created some of more memorable golf experiences, mostly in the Western States, but also on the Algarve in Portugal, and in Malaysia. 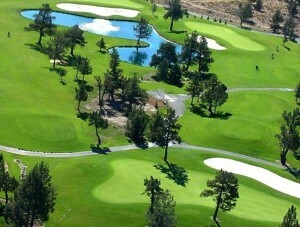 He has been internationally acclaimed for his ability to find the most ideal golf solution within existing landscapes. 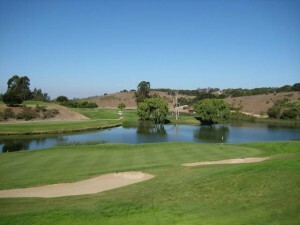 Among his most notable courses out of the more than 80 he designed, in addition to The Sea Ranch Golf Links on the Northern California coast are; the Golf Club at Quail Lodge on the Monterey Peninsula, La Purisima Golf Club, on the Southern California coast, Port Ludlow Golf Club in the state of Washington, Lake Merced Golf and Country Club in San Francisco, Course in British Columbia, Widgi Creek, and The Greens, in Redmond, Washington. 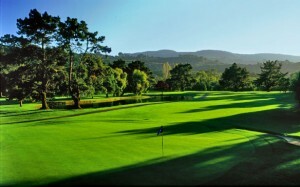 Graves was often called upon to rework courses originally designed by others, such as the Sonoma National in Napa Valley, California, Orinda Country Club, and Rogue Valley, Oregon. A long-standing member of the American Society of Golf Course Architects, Robert M. Graves was named a Fellow of the Society in 2003 and had previously served the organization as President in the mid 70s. Teamed with fellow Golf Architect Geoff Cornish, from the East Coast he taught a number of golf course design seminars across the country and authored two books golf course architecture, “Golf Course Design”, “Classic Golf Hole Design”. 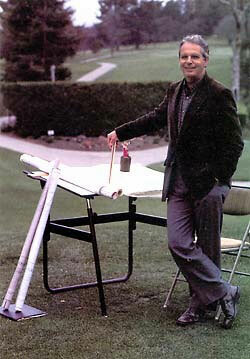 Starting in 1989, the two architects taught a golf design seminar/workshop at the Harvard Graduate School of Design. In1991 he partnered with Damian Pascuzzo to form Graves & Pascuzzo Golf Course Design based in El Dorado Hills, California, USA.